Demonstrating just how bad modern life has gotten, surveys now show that the average American today complains more in a week than people living during the black plague complained throughout their entire 30-year life span. Studies back up Maxwell, as there are recorded only a handful of common complaints from the 14th century such as large boils, lack of food, and everyone dying. In the present day, though, there are thousands of things people complain about daily — poor cell service, traffic jams, unripe avocados, obesity, favorite TV shows being canceled — problems no one six hundred years ago had to deal with at all. This entry was posted on Sunday, August 5th, 2018 at 2:18 pm and is filed under circus of life. You can follow any responses to this entry through the RSS 2.0 feed. Both comments and pings are currently closed. Oh heck! I’ve been routinely IGNORING that “Terms Read and Accepted”. I wonder if I’ll be publicly flogged or what. That’d have to be better than being struck dead. I’ll make a deal..on SUNDAYS (only) I’ll actually read and accept their terms and conditions…that ought to satisfy most deities, don’t you think? Can you believe we’re now so far into the future that a hundred years ago was merely 1918! 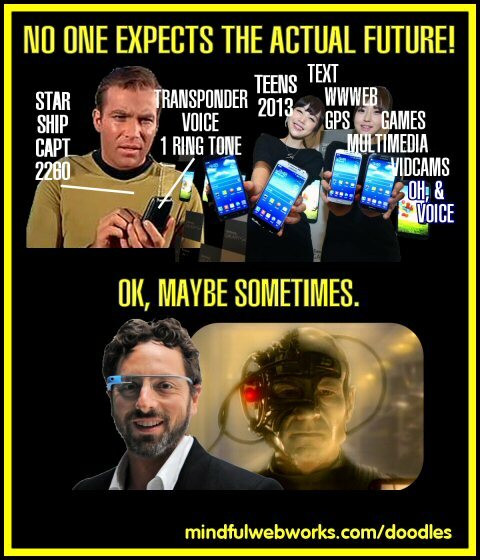 They already had phones, radio, and Jules Verne. So, a phone in your pocket? Many then would’ve said, sure, why not? Having pretty much the entirety of human knowledge packed inside and, basically, everyone has one – now, that is something I don’t think anyone could have anticipated. This Babylon Bee is hilarious! What is with the recent attack on gluten? I know that celiac’s disease exists, but why must we all then demonize bread? It has sustained our ancestors for thousands of years. As for unripe avocados, they are a disappointing discovery when you want some guacamole on your toast. Jokes aside, the disillusionment of today irks me. Celiac disease certainly exists, although estimates of how many people actually suffer from it vary wildly. That said, there are legions of people who, celiac or not, claim to feel better after they cut gluten out of their diets. My suspicion is that most of them feel better because, as a practical matter, giving up gluten means giving up all fast food and nearly all junk food, and then they end up eating real food instead. I agree with your suspicions. I thought the gluten-free craze was crazy. For sure, I was never going to join their club. I loved my gluten goodies too much. Last year, I had my DNA tested by 23andMe. And learned that I have the gene that causes celiac disease. Really? No way! I was doing just fine on my gluten diet. Surely, if I had celiac disease, I would have realized it a long time ago, right? I did some googling and discovered that there are different degrees of celiac. For some people with a milder case of celiac, the symptoms are very subtle. Like not being able to absorb all of the nutrients in your food, so that your blood tests indicate that you are deficient in things that you eat plenty of. That was me, woefully deficient in vitamin D, despite taking a D supplement. Another problem I had was a lot of unexplained inflammation, which apparently happens when you have celiac disease and you eat a lot of gluten. So, as an experiment, I cut all gluten from my diet for a month. And now, seriously, I feel twenty years younger! That’s really interesting. I wonder if I should try it.